While exploring Florence Italy, I found this segment of wall with layers of plaster repairs and a recently removed poster or sign. 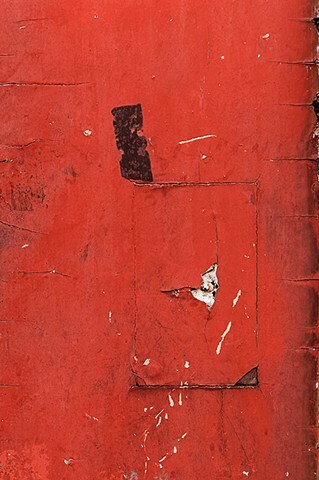 I was drawn to its painterly elements, residual tape and unintentional mark making. This delightful abstraction will soon be painted over. Macro lens.